AIDWA welcomes the Judgement of the Supreme Court in the Sabarimala case which has allowed the entry of women of all ages into the temple. 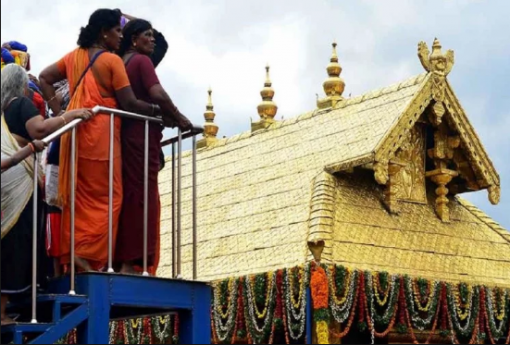 Earlier, the Sabarimala Temple rules had barred women between the ages of 10-50 years from entering the temple on account of antiquated notions of impurity associated with menstruation and other similar notions. The court held that, to restrain women from pursuing their right to worship on physiological grounds, would be unconstitutional and keeping women out is against their dignity. It also held that the Indian Constitution cannot be subverted because of customary practices and old religious beliefs and all actions under the Constitution have to be tested on the anvil of liberty and equality. The CJI also held that barring the entry of women from the temple is not an essential part of religious practice. The Court rightly also held that women have an equal right to worship under Article 25 of the Constitution of India in a public place and the Sabarimala Temple entry rules are a clear violation of this right to worship. AIDWA agrees that religion cannot be used as a cloak to deny women’s equal rights. Article 25 is not only subject to Public Order, morality, and health, but also other parts of the fundamental rights chapter in the Constitution. AIDWA has also been campaigning for equal rights for women to practice religion in all places of worship. It also denounces the continued (mis)use of custom and tradition to deny equal rights to women and to subjugate them. The majority judgement of the Supreme Court will go a long way in the legal struggle for equality as it recognizes primacy of the fundamental rights guaranteed in the constitution over the antiquated beliefs, customs, and traditions.